The stealthy predator Mnemiopsis leidyi, also known as the sea walnut, uses tiny hairs, called cilia, to create a current which prey don’t notice until they are sucked into its mouth region, surrounded by two large oral lobes. The sea walnut swims using fused cilia, which diffract light in many colors in this photo. 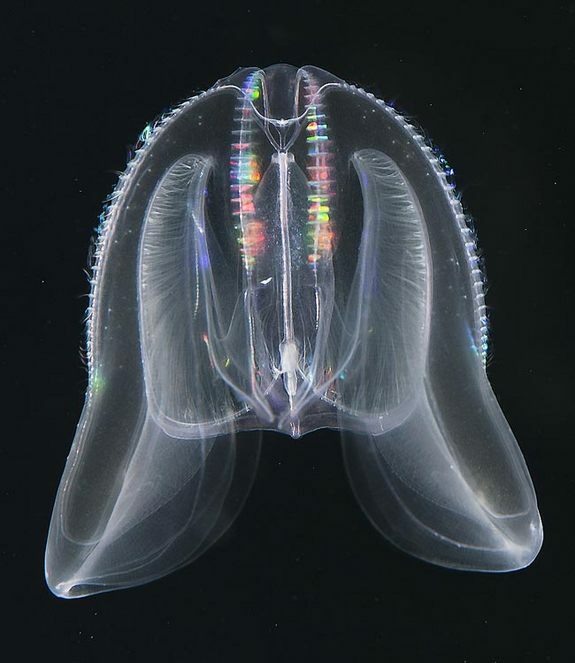 Mnemiopsis leidyi, as it’s formally called, is a ctenophore, a group of simple animals often described as jellyfish that propel themselves using tiny hairs, called cilia. These jellyfish are native to the Atlantic Coast of the Americas, but they can be successful, even devastating, when introduced elsewhere. In the 1980s they showed up in the Black Sea, most likely transported by ships, and multiplied. Within a few years, the Black Sea’s anchovy fishery collapsed. Mnemiopsis was one of the culprits, since it both competes with the filter-feeding fish for food and also consumes anchovy eggs and larvae. Mnemiopsis has also established itself elsewhere, including the eastern Mediterranean, the Caspian Sea, the Adriatic Sea, the Baltic Sea, parts of the North Sea, and elsewhere, according to the scientists. The Blue Jellyfish is also known as Bluefire Jellyfish, scientific name Cyanea lamarckii. 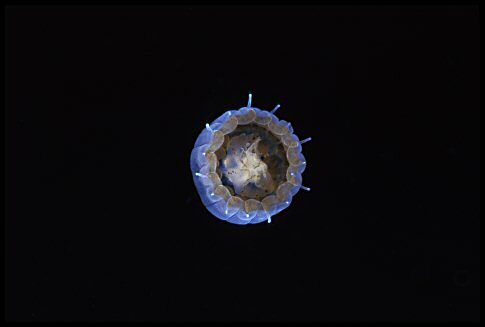 It is a jellyfish species of the Cyneidae family and is likely to be known as Cyanea capillata nozakii or Cyanea nozakii among populations in Western Pacific of Japan. 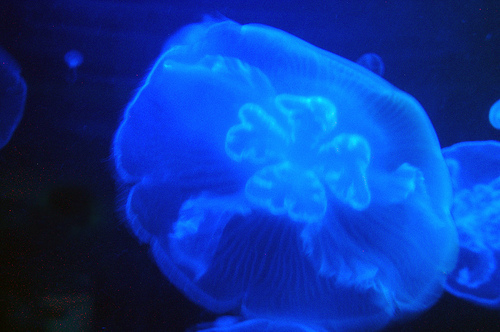 Blue Jellyfish also sting and have their own unique effects. It’s important to realize that almost all jellyfish sting but the degree of the sting is contingent on the species in question and how your body reacts to a sting. 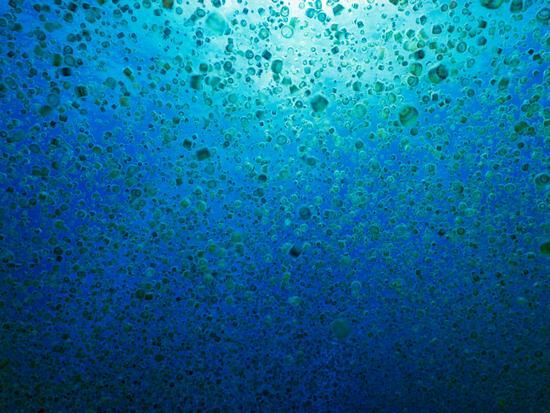 As such, the typical effects and symptoms of a jellyfish sting can range from a simple rash to an angry blister that requires urgent medical attention. Blue Jellyfish sting effects include intense hurtful pain, wheals, and rash while its progressive effects include vomiting, nausea, diarrhea, fever, sweating, chills, swelling of the lymph nodes, back and abdominal pain, among others. 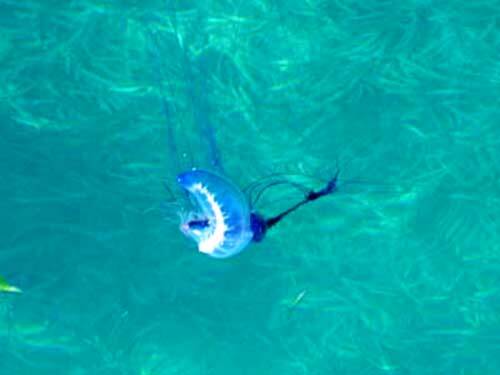 In case you are the type of person who reacts severely on stings, the blue jellyfish sting effects might make it difficult for you to breath. It can also lead into a coma and to some very extreme cases death if the venom spreads widely into your blood. In case a blue jelly fish stings you, you don’t have to wait for the effects to show before treating it. First off, you should rinse the affected areas using sea water. You should by all means avoid fresh water as it will only exacerbate the pain. Don’t rub the affected area, neither should you apply ice on it, instead, let it to cool off on its own. Blue jellyfish sting effects might also leave you with tentacles on, which should be removed sparingly using tweezers. Never rub them off using your bare hands. Your aim should be to put out of action the extremity since any slight movement can make the poison spread. Severe blue jellyfish sting effects would require you to seek further medical attention. Sand Jellyfish (Rhopilema asamushi or Rhopilema esculenta) is a species of jellyfish from the genus Rhopilema. 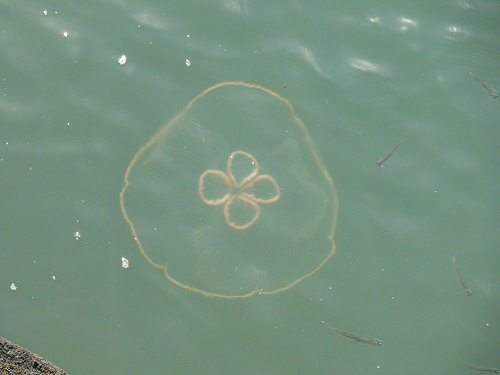 Other species of jellyfish belonging to this group include Rhopilema hispidum and Rhopilema nomadic. They are inhabitants of the Indian Ocean and are found in locations like Hong Kong, Malaysia, Japan, China and some parts of the North Atlantic coastline. This species of jellyfish is very to rare to find in marine waters around the American coastlines. Sand jellyfish is so called because of their distinct coloration and because the surface of the skin appears to have a granular texture. 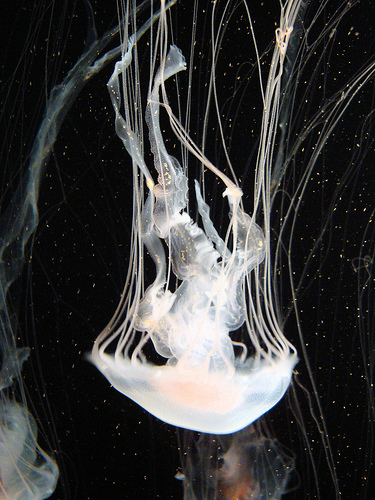 We do know that the jellyfish are capable of stinging because there are records of humans being stung by them. The effects of the sting are known to be mild, usually resulting in an itchy rash and a burning sensation. A more severe effect can occur in a sensitive individual or if one has an allergic reaction to the toxins present in the venom.